The Village of Mt Wilson is holding its annual Autumn Festival every year. Check the exact date on the mtwilson.com.au and put this date into your calendar of events. Come and enjoy the autumnal colours of our magnificent gardens. The festival raises funds for local progress association to maintain the beauty of Mt Wilson. The Autumn Festival consists of nine Open Gardens. There is a Village Market which is focused on 'all things garden', selling beautiful gardening products, arts and crafts by local artisans, plants and produce from our favourite mountain nurseries and quality gardening tools and sculptures. 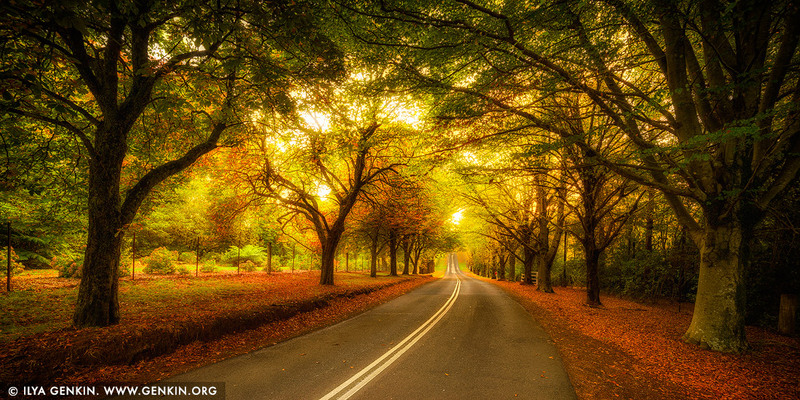 This image id AU-MOUNT-WILSON-AUTUMN-0004 of Autumn Avenue in Mount Wilson, is copyrighted © by Ilya Genkin. This is not a public domain image.